THE first new baseload coal-fired energy in South Africa would only be commissioned by 2028, according to BusinessLive which cited the Department of Energy’s (DoE’s) newly redrafted energy plan known as the Integrated Resource Plan (IRP). The DoE’s deputy director-general Jacob Mbele told the online publication that initial new capacity would be sourced from solar, wind and gas with capacity coming in at the earliest 2022. Mbele said that in terms of the draft plan, 20GW of new nuclear capacity would be installed by 2050, between 35GW and 40GW of gas, 15GW of coal and 55GW of wind and solar energy. 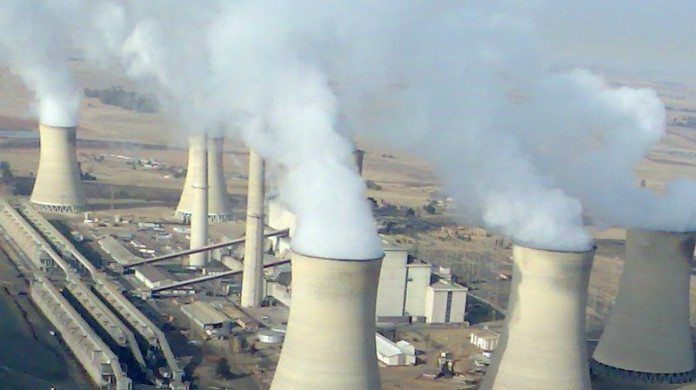 BusinessLive added that there had been a significant reduction in the amount of energy derived from coal-fired power stations as set down in the 2010 version of the IRP. In terms of the draft IRP, an average annual increase in electricity demand is estimated at 2.17% for a high level of energy intensity and at 1.31% for a low level of energy intensity, said BusinessLive. The public will also be asked to comment on other scenarios that ought to be considered. The department anticipates the IRP to be finalised by mid-2017, it said.